Today i'm gonna give you a brief about Steam properties especially Energy, as there will be much confusion about types of Steam. What is the Energy of Steam, How much energy from steam can we utilize, How much Energy it needs to get generate, These are the questions that we don't have a clear cut answer, if you have then there is no need to read this, or else you have to.....!!! * The vapour still heated above evaporation temperature, simple called Super Heating. Saturated Steam: The vapor produced from water which is produced at or after water boiling point [100°C or 212°F] is called Saturated Steam. Dry Saturated Steam: The saturated steam produced after Removal of Wetness is called Dry saturated steam, usually 99% of the pharma operations were carried out using Dry saturated steam, and the rate of Condensation of Dry Saturated steam will be lower than that of Saturated Steam. Super Heated Steam: Super Heated steam is what when produced after heating the Dry Saturated Steam to further temperatures, Highly dangerous it cant been seen, even the dry saturated steam can be observed but Super Heated cannot. Enthalpy ( H ): Enthalpy is nothing but the product of Mass in a system ( M ) and Specific Enthalpy ( h ). 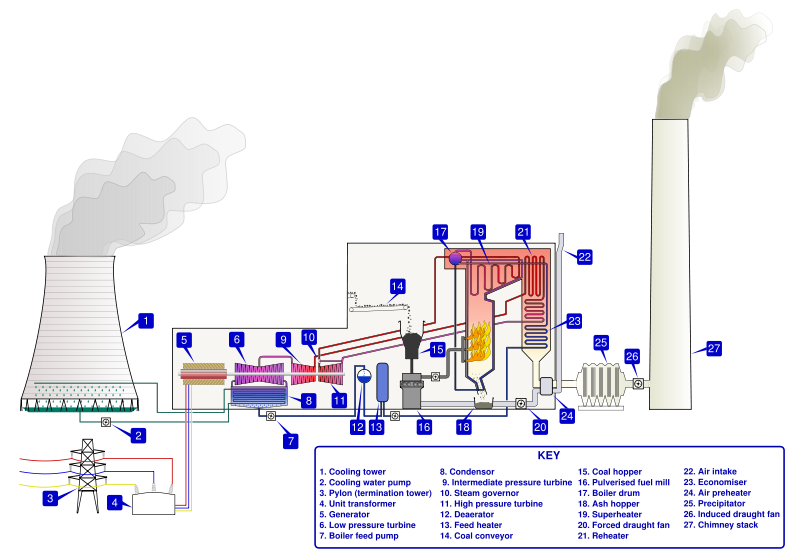 How to design a industrial Distillation Column? Specific Enthalpy ( h ): Specific Enthalpy is summation of Internal energy ( U ) and Product of Absolute Pressure ( P ) and Specific Volume ( V ). Latent Heat ( he ) = hg - hf = 2676 - 419 = 2257 KJ / Kg. Ts - Temperature of super heated Steam, Tf - Saturation temperature i.e., 100°C. As Cp varies with temperature, just have approximated values somewhat higher. How to Select a Motor for an Agitator ? How to do Scale Up ? Thanks for commenting here, in my next post i'll give you a brief explanation about boiler, kindly comment with your id next time. hi sir please try to post a mostly asked interview question for process engineering...please explain with an example..